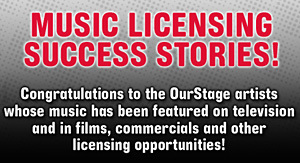 1 high-ranking artist will receive 1 year free of nimbit Retail (incl. one product setup) and free production of the following: 250 CDs (fast-turn CD-Rs, full-color special vinyl label, 2-panel 4/1 insert, slimline jewel case w/ black tray) and 50 Posters (100# glossy text stock, 11"x17"). For more info on nimbit retail, click here.